Ma Petite Ecole was founded to teach French to children and teenagers. Lessons are held on Saturday mornings in two schools in Belsize Park and Maida Vale, in London. Students are placed in different groups based on their ability in French and their age. Students who speak French fluently follow the French National Education programme whilst students who are not fluent learn French as a foreign language. There is a maximum of 8 students for every teacher. Ma Petite Ecole holds around 30 classes every Saturday morning, including nursery, primary and secondary levels. Lessons take place in two locations: The Rosary School in Belsize Park (from 9:30 to 11:30) and St Joseph's School in Maida Vale (from 10:00 to 12:00). The class a new student is put in is determined by teachers to ensure they are at a suitable level. There are 10 lessons, lasting 2 hours each, per term. The teachers, who are all qualified French speakers, are trained in teaching and according to the program established by Ma Petite Ecole. 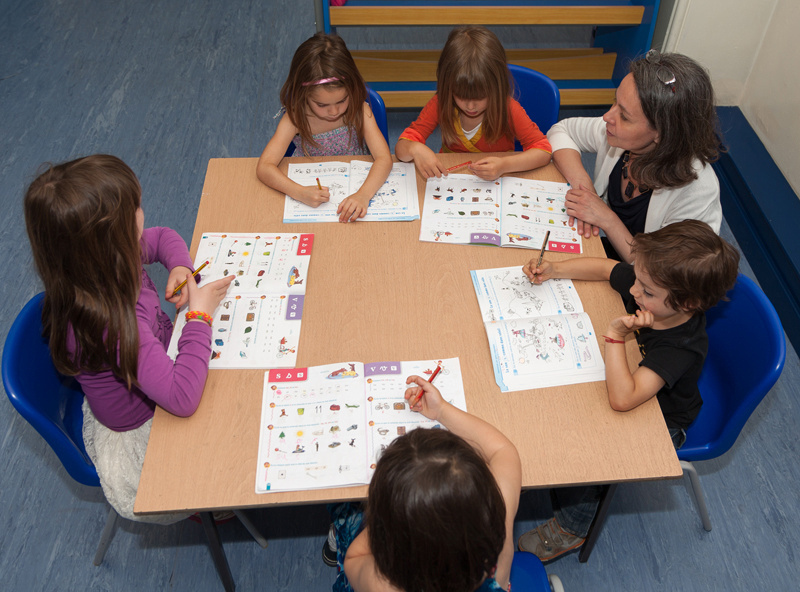 The teaching methods used are carefully chosen in order to make learning French entertaining and enjoyable for students. If you have an enquiry, please send it to us by email and we will get back to you as soon as possible. Please check your spams if you don't hear from us within a week, our first email often falls in the spam box. Lessons at our Maida Vale center (St Joseph's school, in Randolph Avenue, at the junction with Sutherland Avenue, W9) take place from 10 AM to 12 PM on Saturdays. The autumn term’s lessons in St Joseph’s school in Maida Vale will resume on the 15 of September 2018. There will be 10 lessons on that term: all Saturdays from the 15 of September to the 1st of December 2018 (inclusive), except on the 20 and the 27 of October. Should the St Joseph's school not be accessible on one of those dates for unforeseen circumstances, it will be replaced by an extra day: the 8th of December 2018. Please keep all 11 dates available for your child(ren)’s lessons. Lessons at our Belsize Park center (The Rosary School), 238 Haverstock Hill, NW3 2AE, take place from 09.30 AM to 11.30 AM on Saturdays. The autumn term’s lessons at the Rosary School in Belsize Park will resume on the 22 of September 2018. There will be 10 lessons on that term: all Saturdays from the 22 of September to the 8 of December 2018 (inclusive), except on the 20 and 27 of October 2018 (half term holiday). Should the Rosary School not be accessible on one of those dates for unforeseen circumstances, it will be replaced by an extra day: the 15 of December 2018. Please keep all 11 dates available for your child(ren)’s lessons.